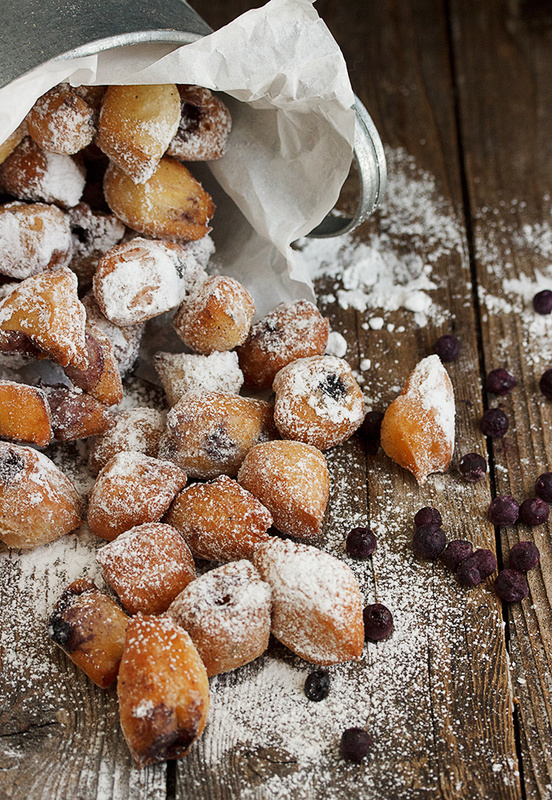 These delicious and easy Mini Blueberry Beignets, are bite-sized beignets, dotted with blueberries and generously dusted with powdered sugar. 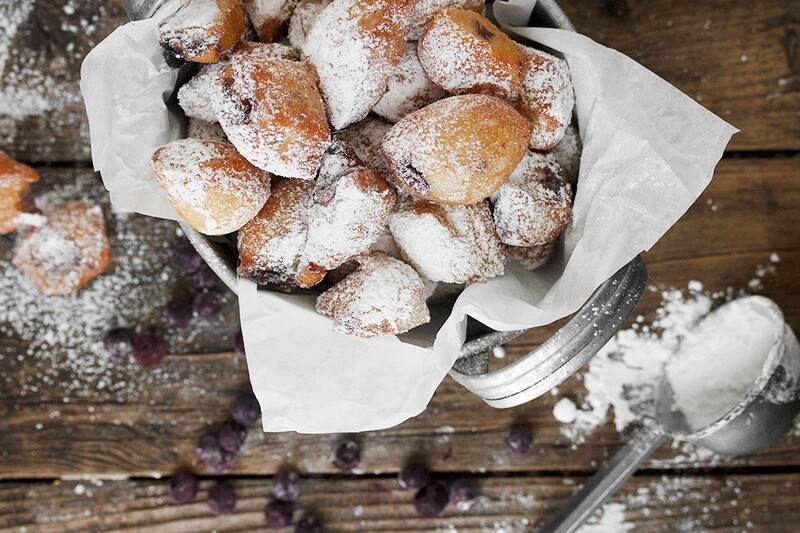 With these easy and delicious mini blueberry beignets, you can pretend it’s Mardi Gras any time! 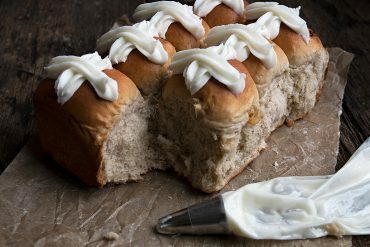 Wonderful for breakfast, with your afternoon tea or serve them as a lovely dessert with a lemon mascarpone dip. Beignets are super easy to make, though they do involve deep frying. As I’ve mentioned before, I’ve been a happy deep-fryer ever since I bit the bullet and invested in a small deep fryer. It’s much safer and it keeps the oil at a constant temperature for me, so I never need to worry about that. I highly recommend it! 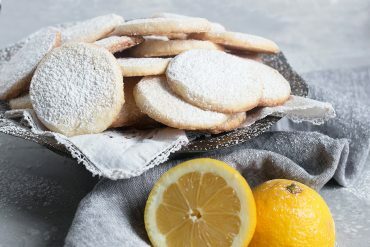 You can make the beignets ahead and store in an air-tight container, but don’t dust with powdered sugar until right before serving (as it has a tendency to melt and disappear over time). 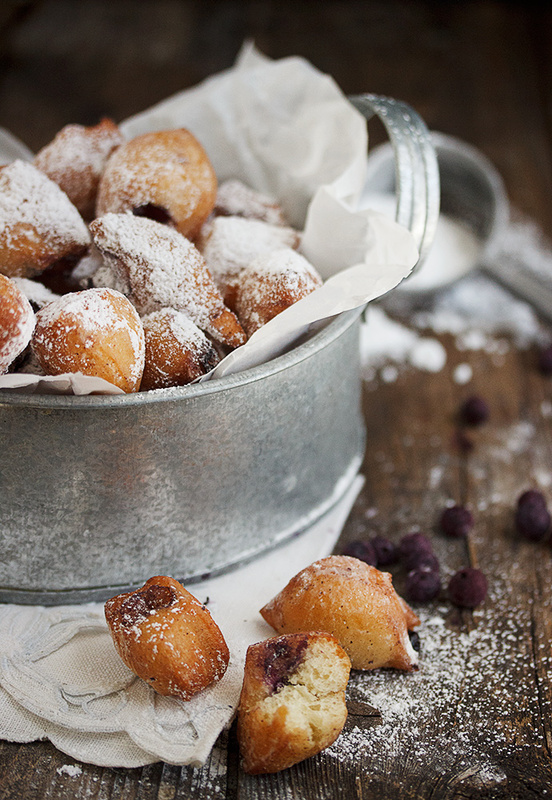 These beignets would be lovely with a dip, as well. I’m thinking a lemon mascarpone dip would be delicious with these. These beignets freeze beautifully, so don’t hesitate to stick a few in the freezer to enjoy later! Makes 5-6 dozen bite-sized beignets. If you don't want a ton, consider halving the recipe. A deep-fryer is recommended, otherwise use 2-3 inches of oil in a deep, heavy pan and a thermometer to gauge temperature. Combine the yeast, water and sugar in the bowl of a stand mixer fitted with a dough hook. (Or use a food processor, or the old fashioned way, by hand). Let this sit until frothy, about 5 minutes, then add the salt, egg, vanilla, lemon zest and evaporated milk. Mix on low speed until combined. Add 3 cups of the flour until the dough starts to come together a bit, the add the shortening. When the shortening is incorporated, start adding the remaining flour, a little at a time until most of it is incorporated (you may not need all of it). Turn the dough onto a floured work surface. Knead the dough adding just enough flour as necessary to make a non-sticky, smooth dough. Place the dough into a large, oiled bowl. Cover with plastic wrap and let it rise until the dough doubles in size. After the dough has doubled in size, punch it down and turn it onto a floured surface. Roll out into a thin rectangle that is about 1/4″ thick. (If using frozen blueberries, toss with a Tbsp. or two of flour, before scattering on dough). Scatter the blueberries over one half of the dough, then fold the uncovered half over top to cover. Lightly pinch the edges (so the blueberries don't escapand roll dough until about 1/2-inch thick. With a very sharp knife working at a diagonal to the rectangle, cut into 1″ wide strips. Now cut into diamond shapes by making diagonal cuts (of 1-inch wide)in the opposite direction. Cover completely with clean tea towels and let rise about 40 minutes in a warm place. When the Beignets have risen, heat vegetable oil in a large, heavy pan to 350-360 degrees. Place as many beignets as will fit in a not-to-crowded single layer into the hot oil, being careful not to pierce, smash or deflate them. When they are golden brown, flip them over until golden brown on the other side. Remove to paper towel lined plates to drain and cool. 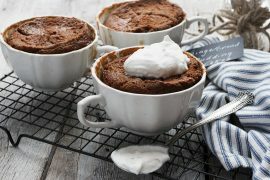 When ready to serve, top with plenty of powdered sugar. 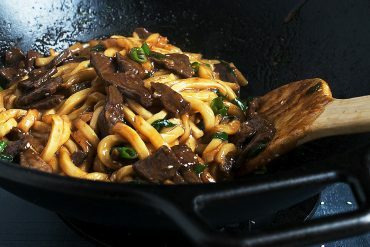 (Can be made ahead and stored in an air-tight container. 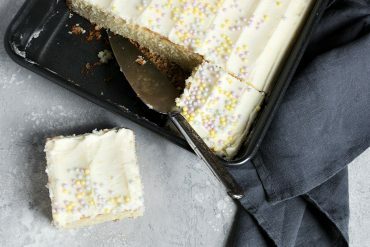 Don't dust with powdered sugar until right before serving). These are to die for jennifer , I looooove blueberries in all forms and they are so good for your health . These beignets look irresistible!! I love fried dough in any size or shape and seriously would not be able to stop eating these once I start. These are adorable! I love the idea of the blueberries popping with each bite. Great concept! I love the idea of the burst of blueberries in these! 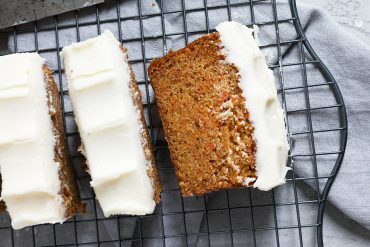 They sound delicious and look beautiful! I love the idea of bite-sized beignets. Lovely photos as well — suitably messy! These look amazing. I am trying to avoid deep fryer much to my husband’s dismay but if I could make these babies. Well, I just might change my mind. I want to take a photography course from you! Thanks Sue :) Hard to take a bad picture of beignet. They’re very photogenic! Divine! I don’t go in for huge amounts of deep fat frying but I am very partial to a beignet, especially one stuffed with juicy blueberries and dusted in icing sugar! 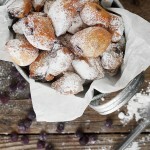 I love beignets, and the blueberry twist on these is genius, Jennifer! What a fabulous treat to “bring” to the shower. Oh my these are absolutely PERFECT :) Love bite sized treats! Oh my goodness these sound (and look) amazing! 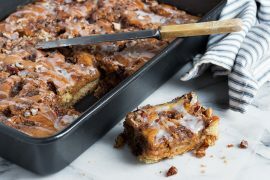 I am putting these on my list of recipes to try! Could you easily substitute chopped apples for the blueberries? I’ll have to settle for enjoying them virtually instead, which is probably for the best anyways, at least as far as my waistline is concerned. What adorable beignets, I love the mini size! Those baby blues sure are gorgeous! Nothing better than warm donuts or beignets in the morning. And the blueberry flavour makes them that much better! These are gorgeous Jennifer and I love the virtual baby shower! I should totally invest in a little deep-fryer, but then I think I’d be deep frying EVERYTHING! 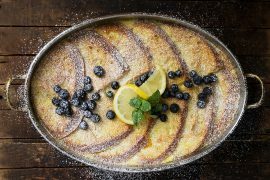 Looks amazing – love the blueberry bursts! I have a deep fryer that was an impulse buy from Costco about a year ago. 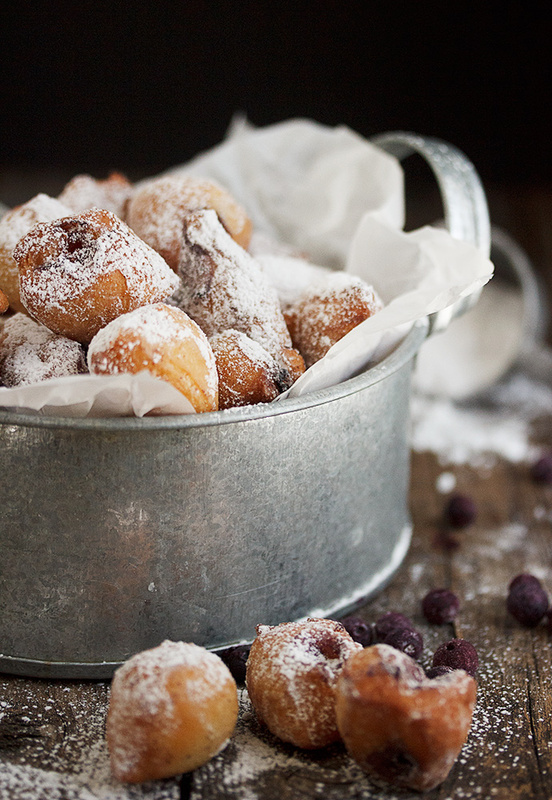 These beignets are a perfect reason to bring it out. I think I would devour about half of them in one sitting. 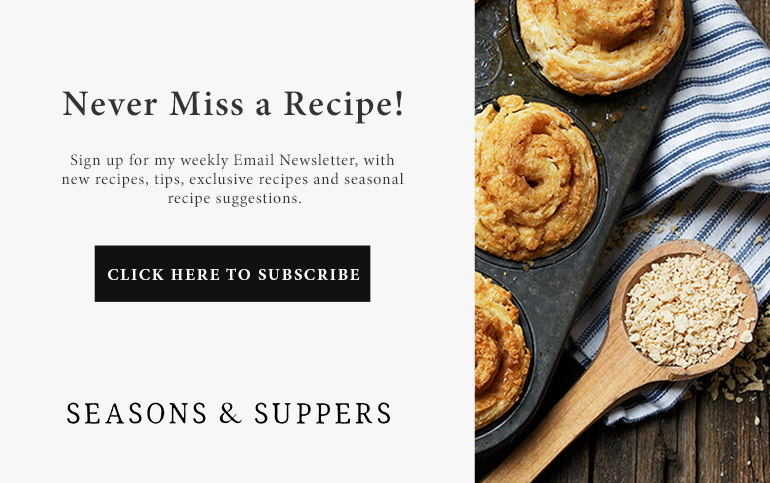 I don’t use my deep-fryer a ton, Christina, but every time I do, I’m so glad I have one :) And yes, I think you should definitely bust it out and enjoy some of these! Wow! Love it. Addictive and sweet. Charming and messy! Just like a real life baby!